He hasn’t officially been released yet, but the Chicago Bears have reportedly landed on their replacement for Jay Cutler at quarterback. According to an avalanche of media reports, the Bears have agreed to a three-year contract with free agent quarterback Mike Glennon. The former Tampa Bay Buccaneers quarterback has agreed to a deal worth $45 million over three years, including $19 million in guaranteed money, according to ESPN’s Adam Schefter and other reports. 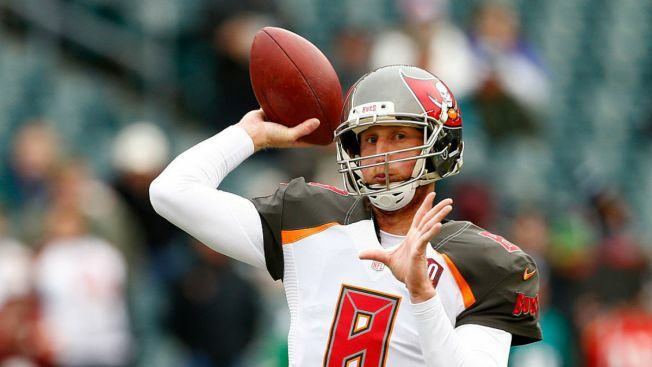 Glennon spent the last four seasons in Tampa Bay, where he began life as a starter but eventually gave way to Jameis Winston when the Buccaneers drafted him with the number one overall pick. In 21 career games, Glennon has completed 59.4 percent of his passes for 4100 yards and 30 touchdowns, posting a career quarterback rating of 84.6. Even with Glennon agreeing to a deal, the Bears are still likely going to take a quarterback in the NFL Draft, and could potentially do so even with the number three overall pick. With players like Mitchell Trubisky, Deshone Kizer, and DeShaun Watson all potentially available, the team should have plenty of options, for at least the 2017 season, it appears that Glennon would start and allow the team to develop a signal-caller for at least a year.